Michelle Zeiger is a litigator who concentrates her practice in all aspects of insurance and general liability defense, including allegations of sexual abuse, personal injury, premises liability, product liability, wrongful death, automobile liability, negligent security, medical malpractice abuse and trucking liability. Prior to joining Hinshaw & Culbertson LLP in June 2016, Ms. Zeiger served as a partner in the Ft. Lauderdale office of a full-service litigation firm. Ms. Zeiger represented large corporate entities in the defense of allegations of sexual abuse, wrongful death, premises liability, catastrophic injuries, automobile liability, trucking liability and medical malpractice claims. Ms. Zeiger previously represented plaintiffs who were victims of sexual abuse in lawsuits against entities including large religious institutions, clergy, private and public schools, daycare facilities, doctors, medical practices, hospitals, youth organizations, Boy Scouts of America, foster care homes, cruise ships, spas and hotels employing massage therapists, apartment complexes and colleges and universities in Title IX lawsuits. 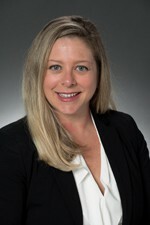 Ms. Zeiger commenced her legal career in 2003 as an assistant state attorney with the Office of the State Attorney, Seventeenth Judicial Circuit Broward County, Florida. She completed her prosecutorial career as lead trial attorney in the Sexual Battery Unit, having tried over 50 jury trials to verdict, including first degree felonies and capital offenses. Ms. Zeiger is proficient in Spanish, and also speaks conversational French. Michelle's other interests include tennis and stand-up comedy.